Assemble at the State government helipad on Sahastradhara Road, Dehradun, the starting and concluding point of this yatra. The ground staff briefs you about the do’s and don’ts of the trip. The helicopter departs from here at around 7’o clock in the morning. As you arrive at the Kharsali helipad for Yamunotri, you are transferred to your hotel. The helicopter takes off from Harsil helipad at 9’0 clock in the morning and lands at Kedarnath helipad, around 500 meters from the Kedarnath temple. If you start walking from here, you end up at the temple after around 20 minutes. 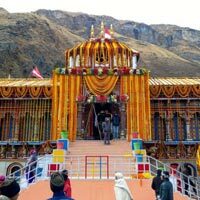 Located at an altitude of 3584 meters above the sea level, Kedarnath temple is one of the destinations of the most revered Chhota Chadham Yatra. Devoted to an incarnation of Lord Shiva, Kedarnath is also one of the 12 Jyotirlingas of the Lord. Hindu devotees believe that the Lord fulfills all the desires of his devotees. The temple was originally constructed by the Pandava brothers of the Hindu epic Mahabhrata. The temple that we see today was constructed by Adi Shankaracharya during the 8th century when he was on the mission of reviving Hinduism. At the temple’s entrance gate, there is a Nandi bull statue (the divine bull of the Lord). Behind the temple, the Samadhi of the sage exists. 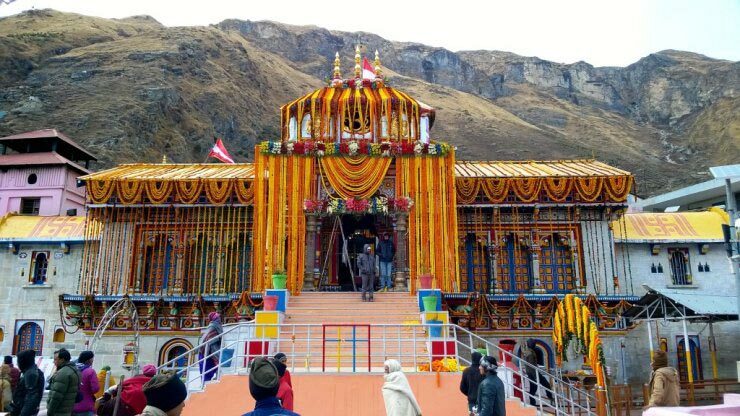 There is no facility of staying at night in Kedarnath, so it is advisable that one must have darshan quickly so that they are back to helipad, on-time.